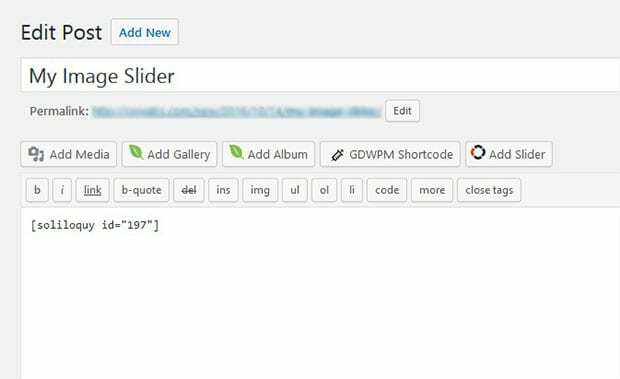 Do you want to add the WordPress image description to your slider? Sometimes you want to rank your images in the search engines by filling the complete meta information for your photos. In this tutorial, we will share how to add image alt text and image title in your WordPress slider. Having the WordPress image alt text and image title will help the search engines to read your photos, so you’ll get more organic traffic. However, you need to add complete and precise description for the best results. By default, you can’t add the sliders in WordPress with alt text and image title tag. 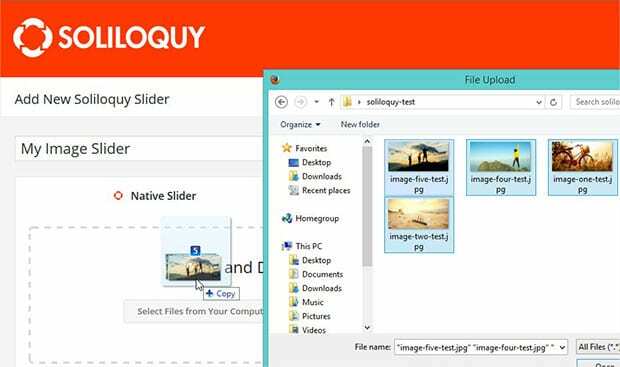 We recommend you to use Soliloquy slider plugin. It’s a complete package for all your image slider dreams. 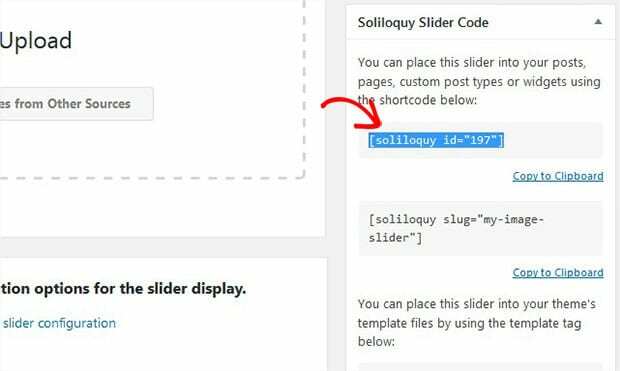 To start with adding image alt text and image title in your WordPress slider, the first thing you need to do is to install and activate Soliloquy plugin on your site. Wondering how to install this plugin? Check out this simple Soliloquy installation guide. Upon activating this plugin, you need to go to Soliloquy » Add New from the WordPress admin of your site. It will show you a page to create the image slider. Let’s start by adding the slider title and drop the photos in the Native Slider section. For more slider settings, you should check this guide on how to create an image slider in WordPress. 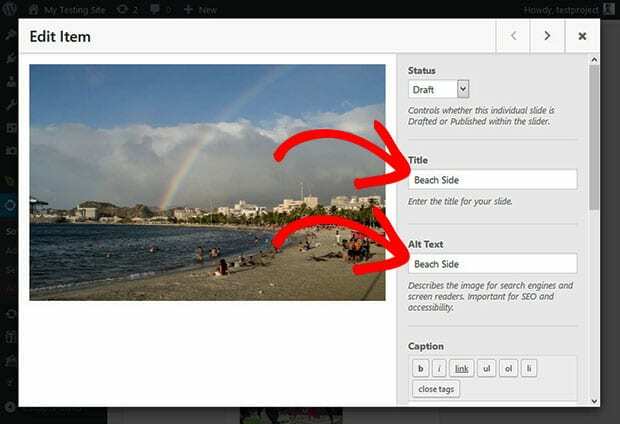 Now you will be adding the image alt text and image title in your WordPress slider images. Simply scroll down to the Slider tab and click on the blue pencil icon on any image to edit the metadata. You’ll see a popup with the preview of the image and fields to add the image alt text and image title. Add the best metadata that explains your image. Go ahead and repeat the same process to all the images in this slider. Once you are done with adding all the image alt text and image title in your WordPress slider, simply hit the Publish button on the right side of your screen. You’ll see a shortcode in the Soliloquy Slider Code widget that you need to copy from here. Next, you should go to Pages/Posts » Add New from your WordPress admin backend. Paste the shortcode in the visual editor of your page/post. Make sure to click on the Publish button, and your image slider with alt text and title tag is ready. We hope this tutorial has helped you to learn how to add image alt text and image title in your WordPress slider. You may also want to check out our guide on how to automatically rename images in WordPress. In case, your site users quit very quickly, then you should check this OptinMonster’s powerful exit-intent technology to convert your abandoning visitors into subscribers and customers. ignore previous- sorry – i see it now.